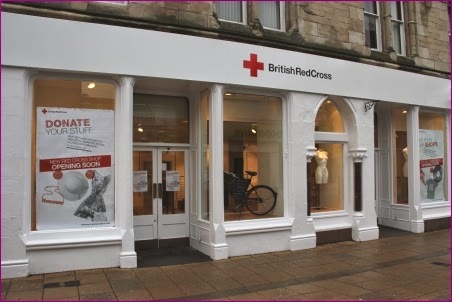 Work is proceeding well at the new Red Cross Charity Shop on Nairn High Street and the Gurn hears that the shop will probably open around 11 am on Thursday the 13th of November. Not quite as welcome as Lidli then? Wouldn't say that anon I think many Gurnites with fond memories of that shop in its previous incarnations will be delighted to be back inside - the Gurn understands too there will be information boards about the shop's previous history. Is that an old bike belonging to Rose Brothers they found ?! Don't think it is an original but again demonstrates the shop's past. 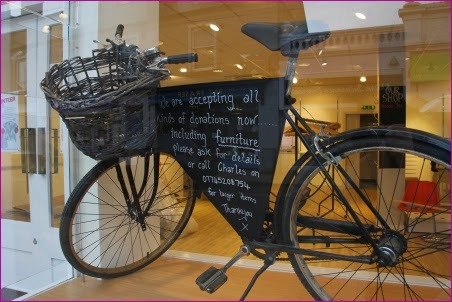 I would love to know how much donated goods it takes to refurbish a shop. 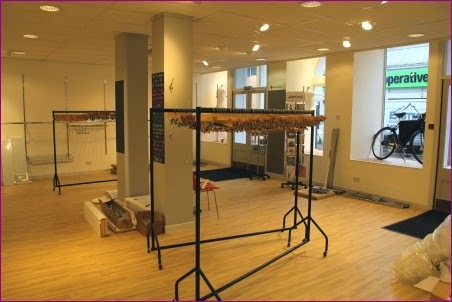 While the shop looks nice it does throw a spotlight on just how much some charities are willing to spend on premises.